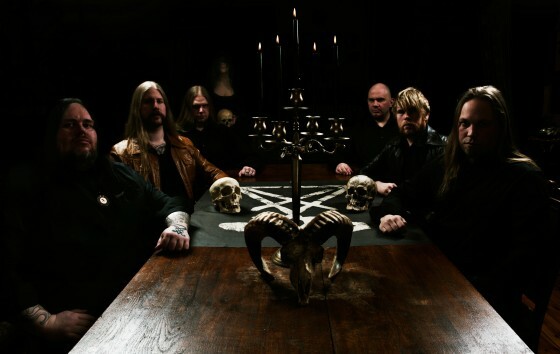 Östergötland/Norrköping, Sweden-based occult rock quintet YEAR OF THE GOAT are in the final stages of preparation for the release of their debut full-length, Angel’s Necropolis, the album to be set free upon the Earth this December 7th, 2012 via Germany’s cult clique Ván Records. Preceded only by two short EP’s, also released by their comrades at Ván Records, Angel’s Necropolis is a brilliantly infectious album highlighting the classic metal/occult rock harmonies YEAR OF THE GOAT seemingly permeate the air around them with, rather than “perform” or “execute” said riffery. The atmospheric permeation of the eight rituals which comprise their Angel’s Necropolis offering form the proper conditions to transport the listener to another plane of existence for over fifty minutes; a meditative state in tribute to Lucifer and his legions. YEAR OF THE GOAT now offer a sampling of their magic to the world; a hymn professing not only their talent and devotion to their songcraft, but also proof of their unwavering allegiance to their master. Stay tuned for proclamations of live rituals and more propaganda on this act over the coming weeks as the album nears delivery.